The interim between the two World Wars. Progress in the world of physics. Albert Einstein’s theory of relativity superseding Newton’s two hundred years old theories on mechanics. The art movement known as Surrealism. This book takes an interesting angle on how the tapping into the unconscious and more often than not irrational, interacted and at times depended on physical innovations and theorems, i.e. relativity, quantum mechanics and the impact it had on the perceptual grip we believed to hold on the world when it came to explaining how and why things work. Based on a solid foundation of going through individual innovative theories of the early twentieth century, connections are made to how these were applied by the luminaries of the surrealist movement, with a focus on one of its epicenters, i.e. Paris. All the usual suspects are there on both sides – physics, science and surrealism – Einstein, Dali, Bohr, Bataille, Schrödinger, Breton, Planck, Caillois and Ernst, with light being shed on how these seemingly unrelated disciplines go in tandem and become something bigger than the sum of the individual components would suggest at first sight. 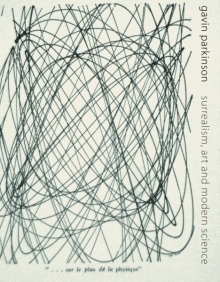 The tome offers interesting insights for both the inducted art connoisseurs and scientists immersed in their respective habitats, but also for the interested on the outer spheres, who are taken by the hand and offered a hand on the way down the rabbit hole of artistic and scientific synergy. A book as an homage to the fusion of revolutionary forces and a testament to how each can be corresponding equivalents of each other.